The audience for NPR’s newsmagazines and its member stations has been growing, and the network hopes to capitalize on the gains by accelerating the system’s fall fundraising schedule. According to Nielsen data shared with Current, average–quarter-hour listening to Morning Edition and All Things Considered grew among all age groups, except for listeners aged 55–64, from spring 2015 to spring 2016. That reverses the trend from spring 2010 to spring 2015, during which AQH listening to the programs declined among every age demographic under 55. Since December 2015, AQH listening to Morning Edition and All Things Considered was up each month over the previous year among 25- to 54-year-olds. From February to June, Morning Edition saw growth of at least 16 percent each month over the previous year. All Things Considered grew at least 25 percent. The largest increase came in May, when audience for Morning Edition and All Things Considered was up 23 percent and 30 percent over the prior year, respectively. NPR News stations have also seen gains. AQH listening to stations in the top 44 Portable People Meter markets grew about 17 percent from winter (January–March) 2015 to winter 2016, according to Radio Research Consortium data compiled by Current. AQH had grown only 2 percent among the same group of stations from winter 2014–15. From winter 2016 to spring (April–June), AQH listening declined about 3 percent. NPR executives credit the gains in part to a busy news cycle and network and station efforts to build audience. Recent changes in how Nielsen’s Portable People Meter devices measure listening are also a factor. The network now hopes to capitalize on the increase by convincing station managers to move their pledge drives from late September and October to the week of Sept. 10–16, farther from the presidential election. “It’s a complicated puzzle to solve, but we wanted to put forward this big idea that if you can move, [then] move and create a nice clear path for a fall election cycle that has more programming and less fundraising,” said Israel Smith, NPR’s senior director of promotion and audience development. Smith and Lori Kaplan, NPR’s senior director of audience insights, pointed to a number of factors that they believe contributed to the audience growth. In addition to a wave of major news events, Smith credits the increases in part to efforts by the network and its member stations to build audience. NPR is making a “concerted effort to improve the sound and content of our newsmagazines,” Smith said. As an example, he highlighted Morning Edition’s “The View From Here” series, in which Morning Edition hosts talked with voters in cities that typically play a smaller role on the primary calendar. Meanwhile, All Things Considered has been experimenting with new forms of storytelling, said Executive Producer Carline Watson in an email. Stories that appeared in NPR podcasts such as Embedded, Hidden Brain and Invisibilia also aired on the show, expanding their reach to radio listeners. ATC has also been sending its hosts to report from the field more frequently, “including Ari Shapiro in Orlando, Robert Siegel in Paris after the terrorist attack and in London for Brexit vote, and live reporting from the political party conventions this summer,” Watson said. Since last year, NPR and stations have teamed up on the Spark Initiative to boost on-air promotion of the newsmagazines. But there’s one factor public radio can’t take credit for: NPR also points to changes in how Nielsen’s PPMs collect listening data. In November the ratings company updated its encoding technology to help the devices log listening in “challenging acoustic environments such as low volume and/or high background noise conditions,” said Nielsen Chief Engineer Arun Ramaswamy in a March 30 blog post. Last October Nielsen reported that a test of the upgrade in Washington, D.C., and Baltimore increased radio broadcasters’ AQH by an average of 15 percent, leading to an increase of 0.1 in market share in at least 40 percent of the tests. About three-quarters of Nielsen subscribers had upgraded to the enhanced encoding as of March 30. AQH for all radio stations did grow from February 2015 to February 2016, according to Nielsen, going up 13 percent among listeners 6 and older. Spoken-word formats were up 17 percent. Kaplan estimates that Nielsen’s PPM upgrade accounted for less than half of the growth in the newsmagazines’ audience, based on public radio’s growth compared to commercial radio. She pointed to data from spring 2015–16 showing AQH listening to Morning Edition and All Things Considered grew 19 percent among 25- to 54-year-olds. During morning and afternoon drive times, that audience grew 7 percent for all commercial and noncommercial news stations. Audience has grown during previous election years, but Kaplan said this year is unusual compared to others because NPR usually sees a listening spike in the fall of election years, not the spring. WAMU in Washington, D.C., saw 27 percent AQH growth from winter 2015–2016. “I don’t think we know for sure” what to attribute the growth to, said J.J. Yore, g.m. But he pointed to the election and WAMU’s participation in the Spark Initiative campaigns, as well as its own programming changes. “We’ve done a tremendous amount to clean up our schedule, move out programs that weren’t performing all that well and improve the sound of the station in many ways,” Yore said. WAMU recently began using Voltair, an audio processor that aims to boost a station’s PPM detection, and it’s too soon to gauge the device’s impact, he said. Nielsen’s upgrades may have contributed to the 15 percent increase in AQH listening for Oregon Public Broadcasting from winter 2015–2016, said Program Director Lynne Clendenin. But she also pointed to OPB’s coverage of armed militants’ 41-day occupation of the Malheur National Wildlife Refuge, which received national attention. OPB also changed its schedule, adding an hour of All Things Considered at 3 p.m. and moving BBC World Service out of the weekday 10 p.m. time slot. It replaced the evening show with a different program each weeknight, including a Wait, Wait … Don’t Tell Me! rebroadcast Mondays and The Moth Radio Hour Wednesdays. Those changes helped lift the station to number one in the market during both hours, Clendenin said. “It’s hard to say any one thing was responsible” for OPB’s audience growth, she said. NPR’s Smith noted that the network’s audience also increased in Nielsen diary markets that didn’t benefit from the PPM upgrade. 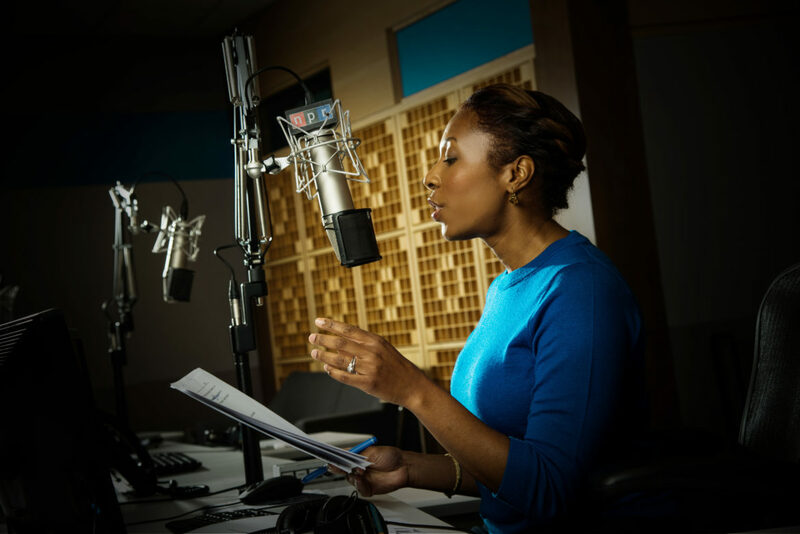 NPR is now asking stations to help extend the audience gains throughout the year by moving up their pledge drives to early September. “With the idea of momentum top of mind, we should all be taking stock of how best to balance, in terms of timing, the critical importance of seasonal pledge drives and their effects on listening,” Smith said in a Facebook post to colleagues. Smith has also reached out to station managers, p.d.s and development directors. A “handful” of stations are considering moving their drives, he said. Beyond putting more time between on-air fundraising and the election, pledging earlier could help extend NPR’s audience growth by consolidating more drives into one week, said public radio consultant John Sutton. “It makes sense when you’re trying to show the true value of the programming and the true audience that it has on a national level,” he said.